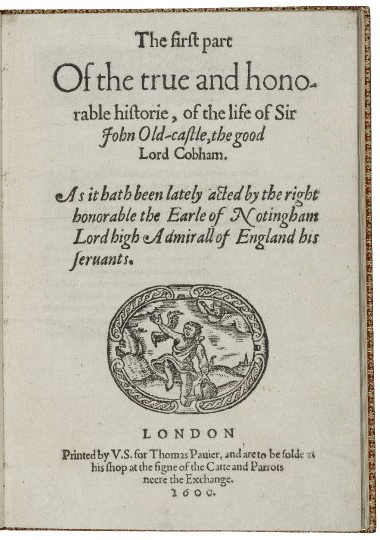 As it hath been lately acted by the right honorable the Earle of Notingham Lord high Admirall of England his seruants. LONDON Printed by V. S. for Thomas Pauier, and are to be solde at his shop at the signe of the Catte and Parrots neere the Exchange. 1600. Title page imaged from Folger call number: STC 18795. Image is not from the transcribed copy.